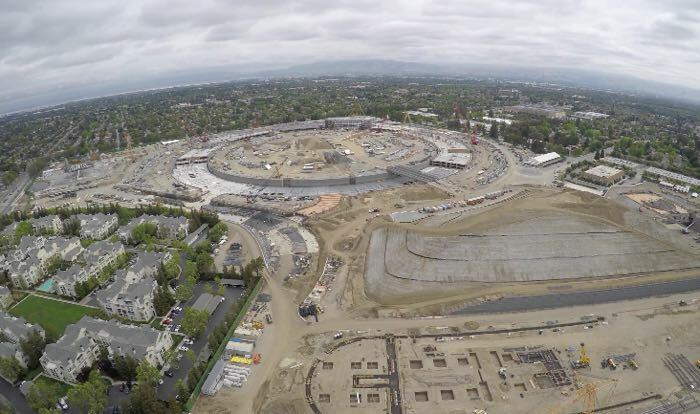 Since Apple started construction of the Apple Campus a YouTube user by the name of MyithZ has been filming the construction progress using a drone. MyithZ has now released his latest drone video of the Apple spaceship campus, which you can see below and we get to see how the development is coming along. The Apple Campus will be home to around 12,000 employees and will feature an underground car park with space for more than 2,400 cars. Apple are expected to finish the construction of their new headquarters in 2016.